This unique occasional table makes a wonderful accent for your traditional living setting. 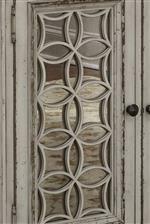 Highlighted by a beautiful front door with decorative grid paneling, the piece also includes a top fully stained dovetail drawer with full extension metal side glides. Completed with an antique white finish, this table blends rustic and transitional style elements. 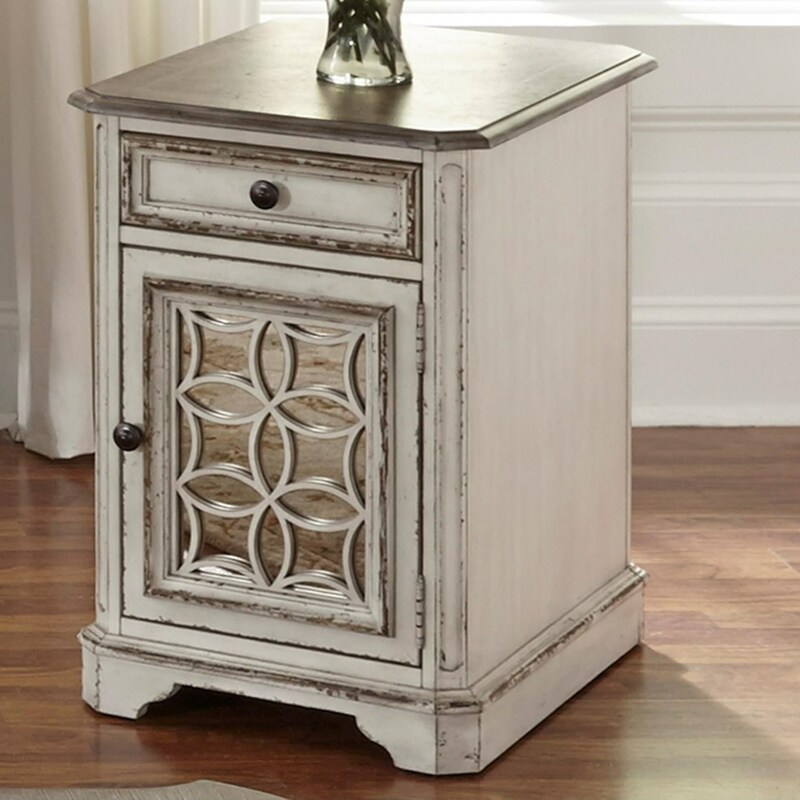 The Magnolia Manor Chair Side Table with Door by Liberty Furniture at Miskelly Furniture in the Jackson, Pearl, Madison, Ridgeland, Flowood Mississippi area. Product availability may vary. Contact us for the most current availability on this product.